People with multiple sclerosis (MS) are no strangers to feeling misunderstood and underrepresented. While there is still a long way to go, many MSers are finding inspiration in public figures working to destroy the stigma of the disease. 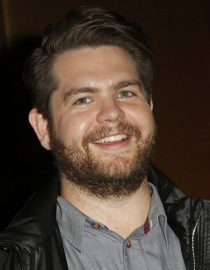 Though some celebrities choose to keep quiet about their condition (like Jamie-Lynn Sigler, who revealed earlier this year that she was diagnosed 15 years ago) Jack Osbourne, the son of Ozzy and Sharon Osbourne, isn’t one of them. He recently penned an open letter in People to address the stigma of MS and ways MSers can band together and support each other. “When I learned I had relapsing-remitting multiple sclerosis four years ago, it was the scariest moment of my life,” he writes. “People with MS can live normal or near-normal lives. By simply understanding more about this disease and spreading the word, you can be a great advocate for yourself and others,” the letter says. Osbourne mentions his You Don’t Know Jack About MS campaign, which he created to educate and raise MS awareness. In the letter, he says it has been a way for him to pay it forward to the MS community that has supported him since diagnosis. “Unfortunately, it’s still very common for people who are suffering with MS to keep it very secretive. Especially in their place of work,” the letter continues. While some in the NewLifeOutlook community had criticisms for Osbourne’s message, many found strength and encouragement in his words. Others were inspired by his call to action to end stigma associated with MS.
“There is a lot of stigma which I myself play a part in it by not sharing my experiences. Mainly because I don’t want to be judged … I want to be seen as me not by my MS,” says another member of the NewLifeOutlook community. "No one will fully understand what it's like to be in your shoes." Libby discusses coping with a lack of MS understanding from people in your life.